There’s a good selection in this week’s Nintendo Download. Super Castlevania IV for the SNES is now available on the Wii U’s Virtual Console for $7.99. Nintendo will also release a free 31-day trial for Wii Fit U on the eShop on November 1st. If you have a Wii Balance Board, you can download the free trial and try it out for yourself. After the 31 days are up, you’ll have to buy a Fit Meter ($19.99) and sync it to the game if you want to keep playing. Meanwhile, the 3DS gets only one new Virtual Console game in the form of Milon’s Secret Castle for the NES ($4.99). There will also be a special discount for Shin Megami Tensei IV on the eShop running from November 4th to the 11th. The game will be priced at $39.99 instead of $49.99 within that time. Wii Fit™ U – Trial Version – With Wii Fit U, you can create fitness routines, review progress and compare with friends in online Gym Communities and Miiverse™. Shape up with more than 70 fun activities, from new ones using the Wii U GamePad controller to Wii Fit favorites. Current Wii U and Wii Balance Board owners can download Wii Fit U from the Nintendo eShop and use it free for 31 days. Then purchase and sync a Fit Meter to keep the game for as long as you like. A Fit Meter sells at a suggested retail price of only $19.99. Wii Fit U will be available on Nov. 1. LEGO® Marvel™ Super Heroes – LEGO Marvel Super Heroes features an original story scanning the entire Marvel Universe. Players take control of Iron Man, Spider-Man, the Hulk, Captain America, Wolverine and many more Marvel characters as they unite to stop Loki and a host of other Marvel villains from assembling a super-weapon capable of destroying the world. 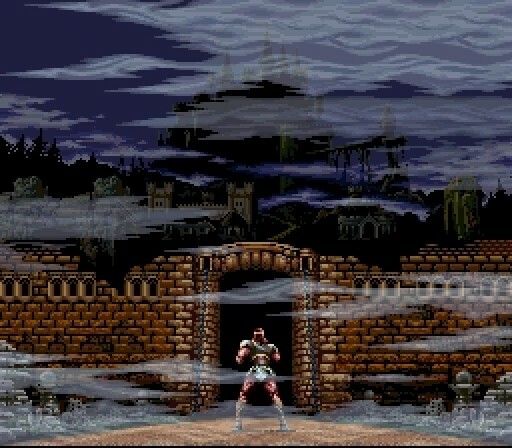 Super Castlevania IV – In Super Castlevania IV – originally released on the Super NES™ in 1991 – players arm the legendary whip and take on the role of Simon Belmont on a quest to defeat Dracula and his evil minions. Using many additional weapons, including axes, holy water, crosses, knives and a magical stopwatch that can stop the flow of time, Simon must travel through 11 stages to reach Dracula’s Castle, all the while overcoming perilous traps and hideous monsters. Milon’s Secret Castle® – In Milon’s Secret Castle, Milon must explore the depths of a maze-like castle while defeating monsters that roam its corridors. The challenging game was originally released for the NES™ in 1986. Shin Megami Tensei®IV – Buy Shin Megami Tensei IV for $10 off Nov. 4-11 in the Nintendo eShop on Nintendo 3DS. Critics call this one of the best entry points for the franchise. The game puts you in charge of fighting and recruiting demons in an epic RPG adventure. BIT.TRIP Presents… Runner2: Future Legend of Rhythm Alien – Featuring five exciting worlds, 125 levels and five death-defying Boss battles, BIT.TRIP Presents… Runner2: Future Legend of Rhythm Alien is 33 percent off in the Nintendo eShop on Wii U from Nov. 1 until 9 a.m. on Nov. 7. To view this week’s Nintendo Download in its full graphical version, please visit:http://news2know.net/nintendo/downloadg0wnd873.php.